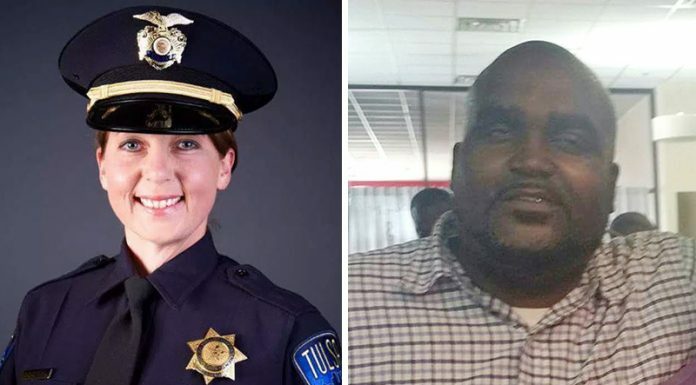 The Tulsa district attorney’s office is charging officer Betty Shelby with first-degree manslaughter for the fatal shooting of Terence Crutcher, an unarmed black man. District Attorney Steve Kunzweiler filed the charges Thursday, despite Tulsa police not yet releasing their report on the incident, Fox 23, a Tulsa news station, reported. 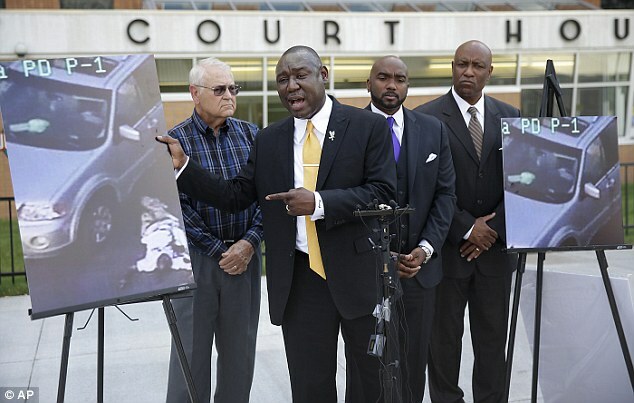 The September 16 shooting was captured on video, showing Crutcher to be unarmed. The footage went viral. An arrest warrant has been issued for Shelby, and there is an arrangement being worked out with her attorney for Shelby to turn herself in. Shelby faces a minimum of four years or a maximum sentence of life in prison if convicted of first-degree manslaughter. Shelby has stated that she felt “threatened” by Crutcher, whom she feared was under the influence of PCP. A vial of PCP was found at the scene, Tulsa police Sgt. Dave Walker confirmed to Tulsa World. As the shooting has come under a federal civil rights investigation, Shelby’s personal and professional history are being scrutinized online. Her application to the Tulsa County Sheriff’s Office in 2007 was publicly disclosed Monday, revealing past drug use, which the sheriff’s office clarified as two instances of marijuana use when she was 18 years old. Two complaints of excessive force have been filed against Shelby since she joined the police force in 2011, but records show the claims against her were determined to be unfounded, according to KOTV. Her application also showed she had been a part of two domestic violence cases, one in 1993 with an ex-boyfriend involving damage to one another’s cars, and one in 2002 with her ex-husband’s wife who claimed Shelby had made harrassing phone calls. In the first case, temporary restraining orders were filed by both parties then dismissed, and in the 2002 incident, an application for a protective order against Shelby was denied by a judge. A 911 call came in Friday at 7:30pm warning an SUV in the middle of the road was “going to blow,” Tulsa Police Chief Chuck Jordan told reporters Monday. Shelby was unaware of that report when she arrived on the scene while initially responding to a different call. When she noticed Crutcher’s vehicle was running, her attorney Scott Wood said, she found it odd. Wood says she then checked the inside of the SUV’s passenger side to make sure no one was on the floor, and upon moving to the driver’s side, saw Crutcher walking toward her in the street. Crutcher did not respond when Shelby asked, “Is this your car?” according to Wood. Crutcher then is said to have put his hand in his left pocket, prompting Shelby to order him to leave his hands out of his pockets, but he did so again anyway, she claims. She then radioed in to dispatch that Crutcher was not following commands. Wood also stated that his client saw Crutcher lower his head and look at her “right out underneath his eyebrow” like “a thousand-mile stare.” Shelby, trained to recognize when someone is under the influence of drugs, then ordered Crutcher to get down on his knees. It was then she pulled out her service weapon, and when Crutcher approached his vehicle, she fired, killing him. Another responding officer had fired his taser at the same moment.